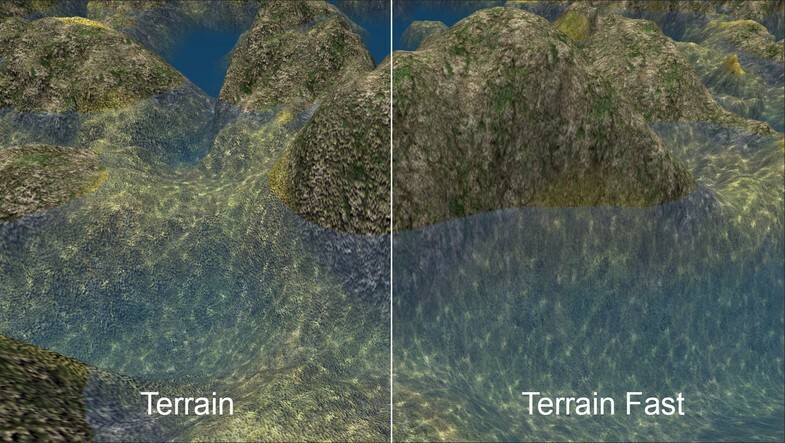 Underwater Shaders is a collection of surface shaders that come in 6 variants: Standard, Desktop, Mobile, Mobile Fast, Terrain, and Terrain Fast. Additionally, there are alpha transparency versions of the Mobile, Desktop and Standard shaders. The fast shaders calculate all lighting and fog effect in the vertex program. 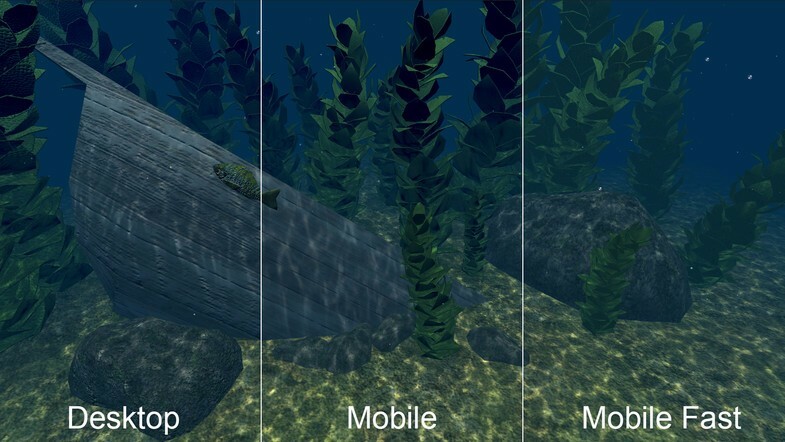 Fog is independent of Unity's built in solution and remedies fill rate issues on mobile devices. 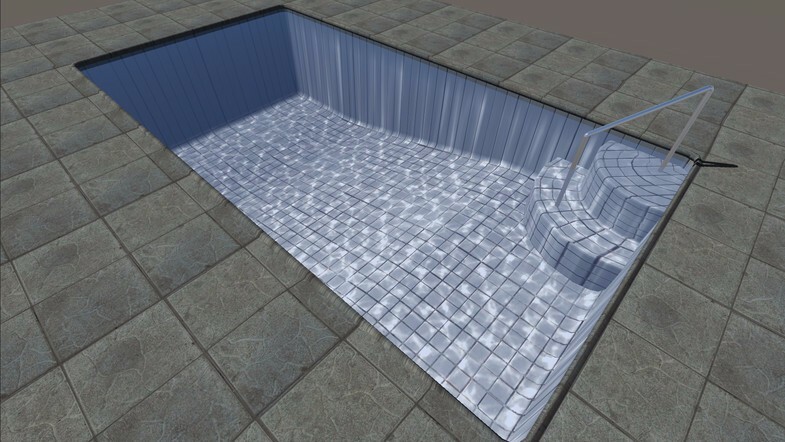 The caustic lighting effect uses a single 4 channel image, saving texture space. All animation is done in the shaders with no scripts needed. An optional manager script is included, but is not required for the shaders to work. Please note that these shaders do not include support for alpha/transparency or lightmapping.